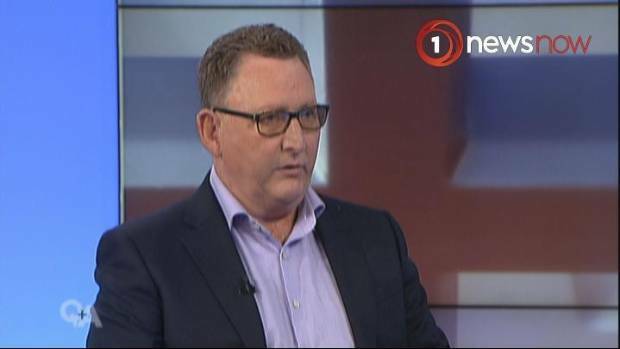 The Finance Minister said he believes Adrian Orr can lead the Reserve Bank through “a period of change”. OPINION: The appointment of Adrian Orr as the new head of the Reserve Bank of New Zealand signals much needed change at the central bank. Orr is widely regarded as a gifted and entertaining communicator, and he is certainly qualified. As well as top experience at the Reserve Bank he has presided over a decade of stellar performance at the NZ Super Fund. As Westpac noted, although he has been away from the bank for a decade, Orr has in-depth understanding of how it works, having risen to deputy governor of the Reserve Bank by the time he left in 2007. He is effectively both an outsider and an insider. He replaces Graeme Wheeler, who never looked comfortable in the role. Previous Reserve Bank governors, in particular Don Brash, were household names, but Wheeler was practically invisible, giving few interviews and alienating a number of observers. When he announced he was leaving after a single term, few were surprised. Adrian Orr has both senior experience in the Reserve Bank and won plaudits for his decade in charge of the NZ Super Fund. Since Wheeler left, communication has improved significantly under acting governor Grant Spencer, who probably should have been given the job five years ago. But with Finance Minister Grant Robertson signalling major changes ahead at the bank, it is no surprise that an external appointment was made. Although it is the board of the Reserve Bank which recommends its preferred candidate to the Finance Minister, it knows to only put forward a candidate that will be approved by the Beehive. The role of governor is incredibly important. As well as having a strong influence on the interest rates Kiwis pay on loans, or earn on savings, the Reserve Bank can restrict the type of lending banks do, making it easier or harder for aspiring homeowners to get onto the property ladder. It should also play a leading role in how Kiwis see the economy. A vacuum of communication at the Reserve Bank allowed the former National Government to control the message, fooling Kiwis into believing that low interest rates were somehow a solution to an affordability crisis. The appointment of Orr is not without risks. Financial markets turn on tiny phrases and there is a risk that his very candid style could get him into trouble. A controversial pay rise earlier this year suggests something of a tin ear to political reality. But he has ample qualification for the role, and despite owing his job to the Finance Minister, it is unlikely Roberton would have any chance of controlling what he says. At the very least, he promises to be more fun.